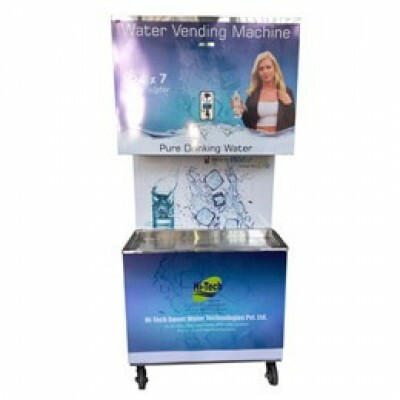 We are engaged in manufacturing a wide range of water vending machine, coin-operated water vending machine and water ATM machine as per client requirement. This machine is made from superior stainless steel corrosion resistance and protected again dust, weather, and bacteria. This system is available at competitive price and very easy to install at any place. 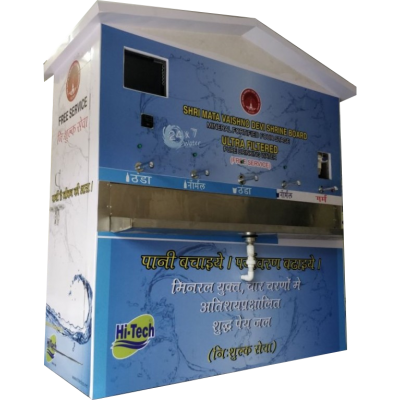 This system is widely used in railway stations, bus stations, schools, hospitals etc. 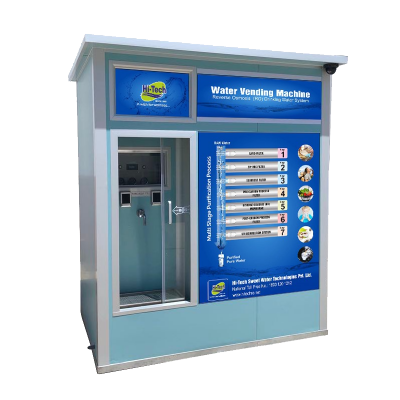 This coin-operated vending machine gives your customer 24 hours a day access to fresh drinking water.